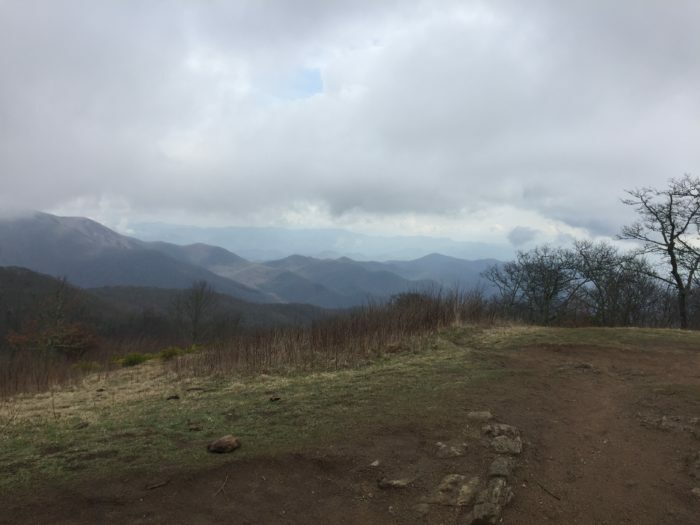 Hike Faster I hear Banjo music: Week 2 and a bunch of firsts! Alright all of you who have been sitting in meetings, changing diapers, and studying for quizzes, here’s what I’ve been up to this week. I started the week in Hiawassee, GA with a zero day and then crossed into NC. After crossing the 100 mile mark at Mt. Albert, I stayed in Franklin, NC for a day. I hiked through the southern NC bald mountains sections into the Nantahala Outdoor Center. I started the week with a Nero (short day or near zero) then zero day (day off) at the Top of Georgia Hostel in Hiawassee, GA. 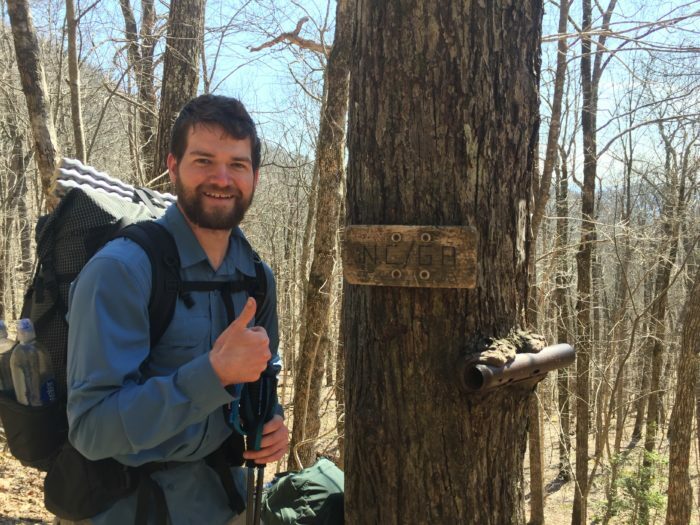 I also took a zero day in Franklin, NC on day 13 where I stayed at the Gooder Grove Hostel. 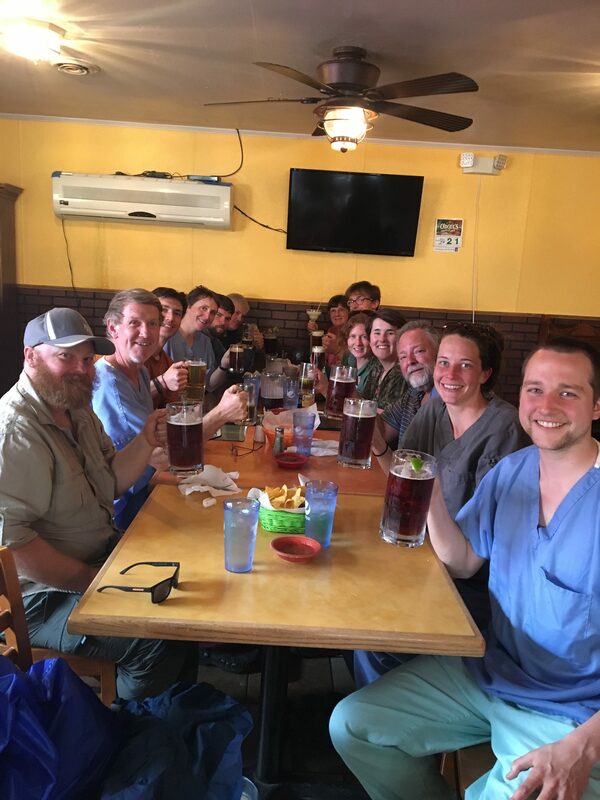 Zero days are great to relax, catch up with trail friends who are hiking faster or slower than you, meeting new people you’ll run into on the trail, resupplying and caring for your body. It is odd though, not hiking. I haven’t quite figured out how to relax yet. At the Top of Georgia hostel, everyone is given scrubs while they do your laundry for you. It looks like a mental hospital with patients roaming the halls in their beat up scrubs. Even though my body hasn’t developed the hiker hunger where you can eat your weight in food, I ate at the same Mexican place twice with friends. 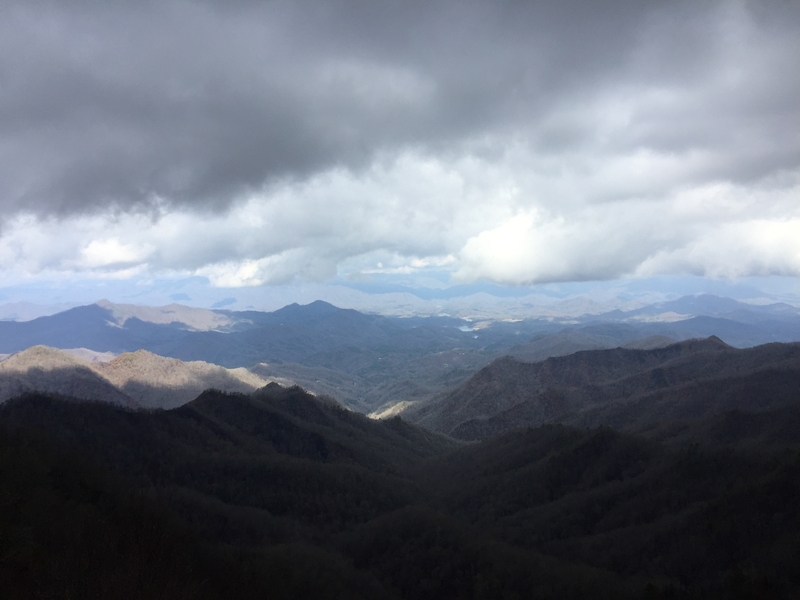 I resupplied at ingles, a southern grocery chain, and bought way too much food for the amount of trail I was hiking, and showered as often as possible. I spent the day doing not much else besides relaxing my feet and took the time to turn my flip flops into gladiator sandals. 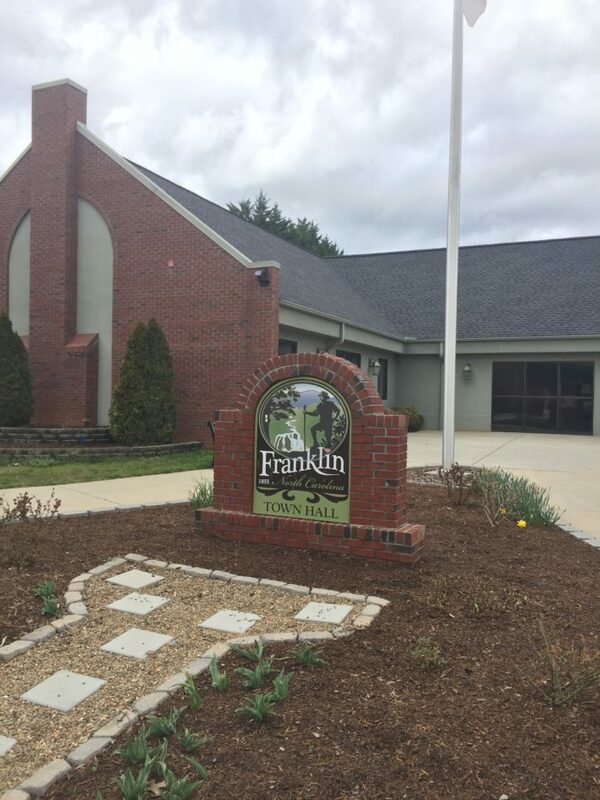 Franklin is a super trail town that goes out of its way to help hikers! 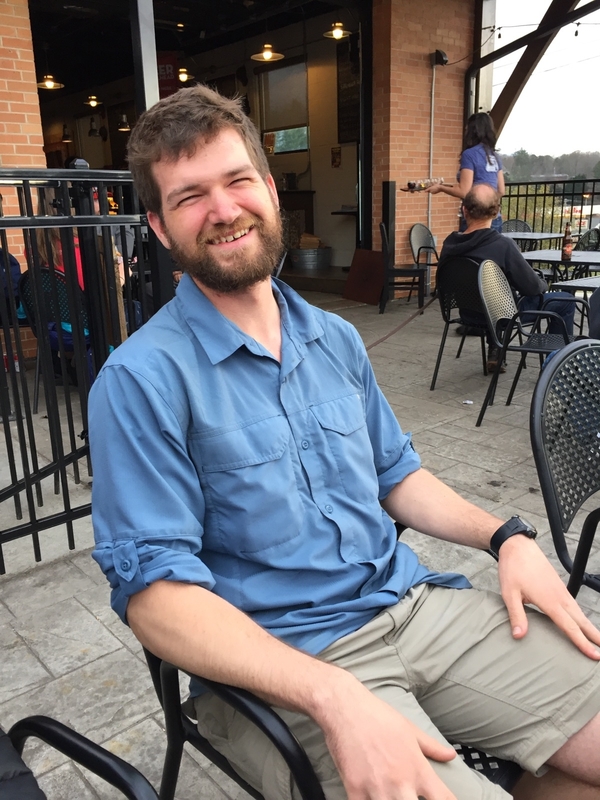 The lazy hiker brewing company, with its thru hiker themed local brews (I.e. The 20 miler IPA and the Night Hike Stout) was awesome! Also, the first baptist church of Franklin, deserves a huge shout out for the free pancake breakfast they put on for hikers each morning. They’re trying to be the best hiker town on the trail and they are definitely making their case. Quaint little town that loves hikers! 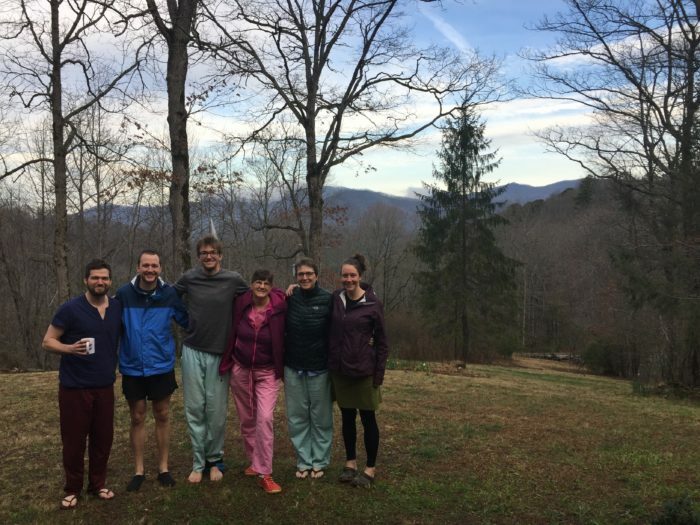 I made it to North Carolina on day 10! I thought I’d be moving quicker by now but it’s been good for my legs to take the first few weeks slow. 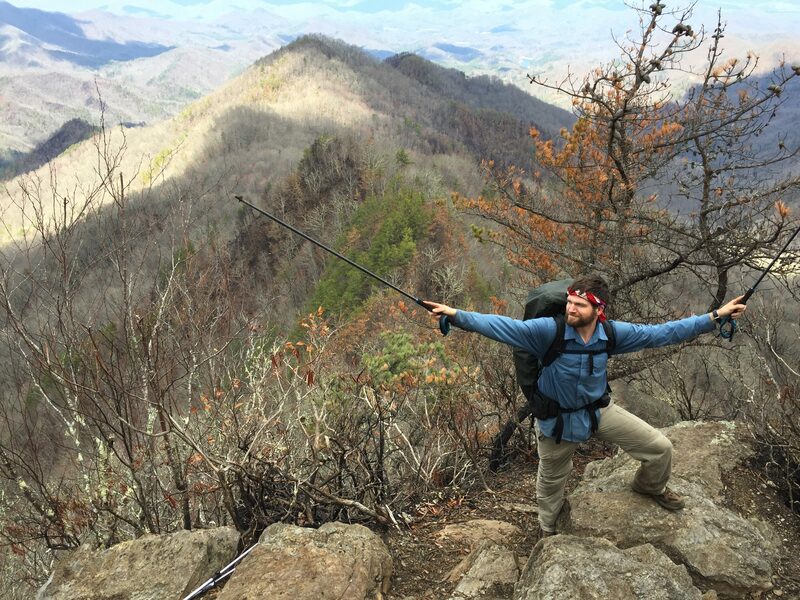 I crossed the 100 mile marker after a ridiculously steep and rocky trail to Mt. Albert! 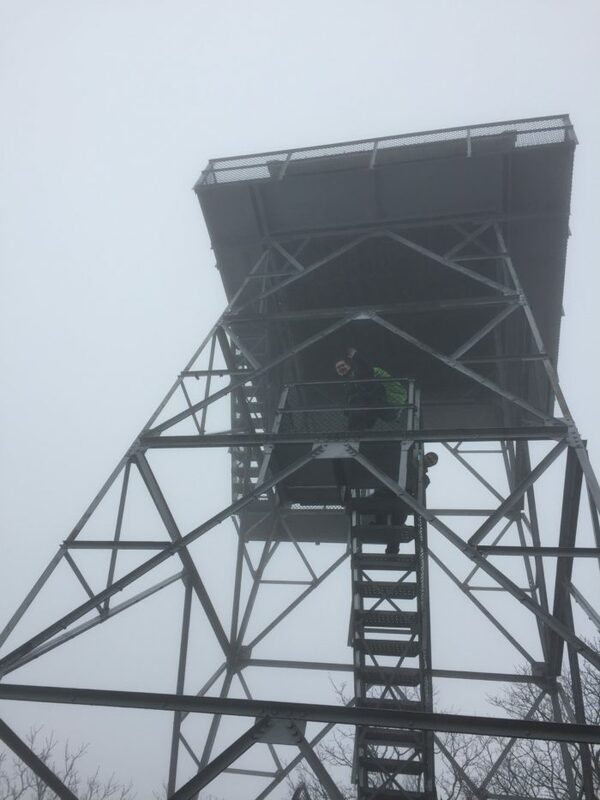 100 miles at Mt. Albert! I made my first big trail decision and decided to skip cooking breakfast entirely. When I wake up I just want to get the old bones moving and cooking just slows you down. Breakfast bars and no coffee it is! My first favorite section of the trail: the balds in NC! Even though it’s been overcast and tougher than GA, this area is beautiful! Wesser Bald, favorite view so far! 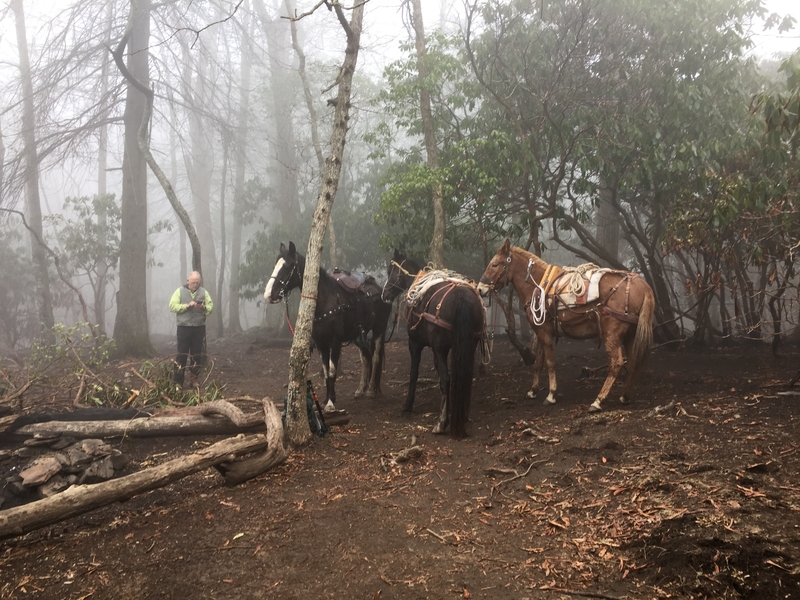 I met my first trail maintainers and their horses! Thanks Nantahala Hiking Club! 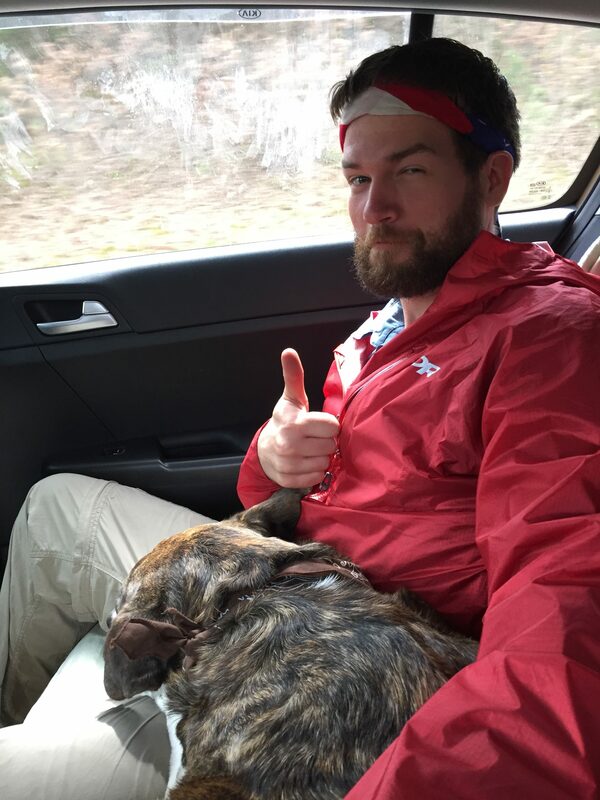 While hiking with my new friend piper, talking about lord of the rings and how good a beer sounds, we tried to set up a reservation in franklin for the night but we’re unable to get service. 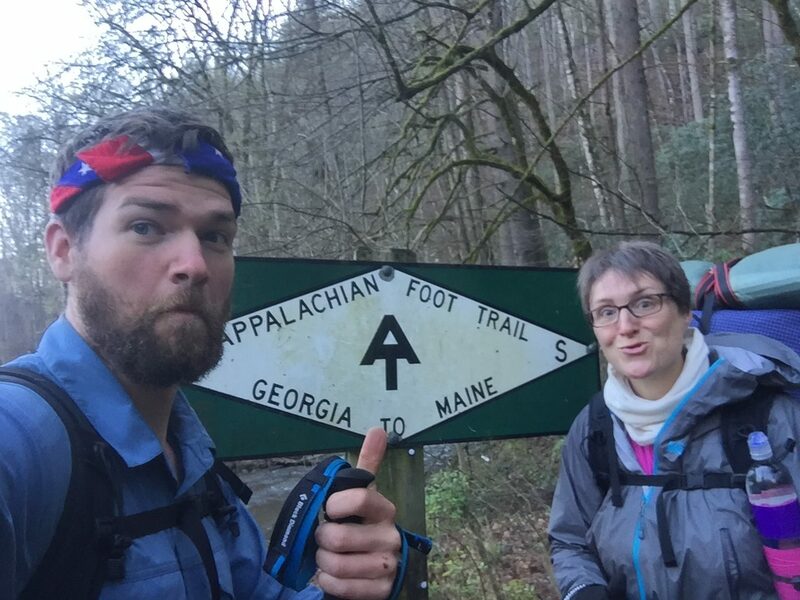 After deciding to skip lunch to not miss out on a stay in town, we made it to rock gap and low behold a cooler with ice cold beers was set aside for thru hikers. 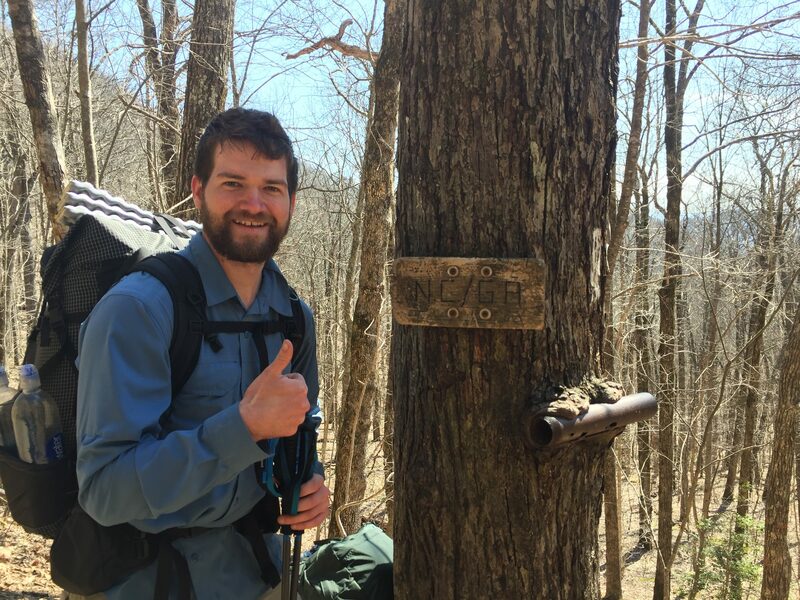 After chugging the tall boys we still didn’t have service so we walked another half mile to Wallace gap and called the Gooder Grove Hostel and the owner, Zen, pulled up and answered right in front of us. We wanted to push another 3.5 miles to Winding Stair Gap so he said he’d pick us there in an hour. Only issue was we still had a mountain to climb. Piper and I basically ran over the mountain and set a new speed record and booked it over the mountain and as soon as we made it to the road, Zen pulled up and brought us into town. The trail definitely provides! Next up is the Fontana Dam and the Great Smoky Mountains National Park! The fireman!! Pleasure meeting you out in the trail! A.J. love the blog! I amso happy that you are dound this. Please keep up the post it makes me feel like i am in Ireland, again.